The claim, which should be taken with a heavy dose of salt, comes from Korean publication ETNews. 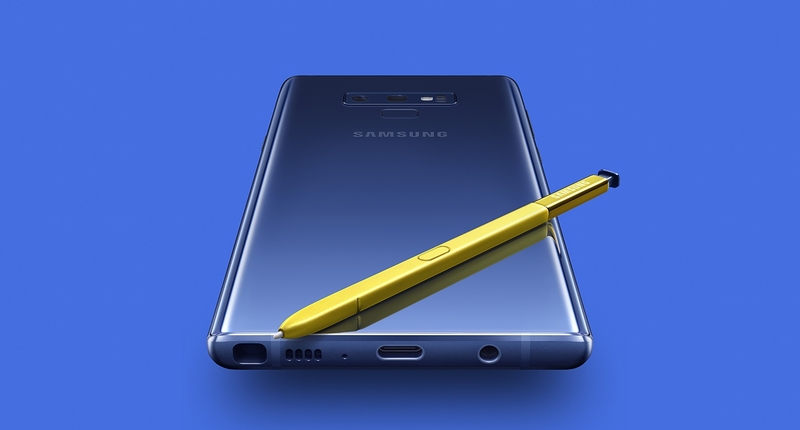 It writes that instead of the usual volume rocker and power button, the Note 10 will use pressure-sensitive capacitive sections, meaning you squeeze the sides much like HTC’s U11. A button-free phone isn’t a new concept. It’s something we saw in the Meizu Zero, which also had no headphone jack, SIM tray, and speaker grills. Ultimately, however, that phone didn’t manage to reach even half of its crowdfunding target, leading to the company’s CEO revealing that the entire project was just a marketing stunt never intended for mass production. But there’s still the 2019 version of Vivo’s Apex smartphone, which also has no buttons. The report adds that this “keyless technology” will also be implemented in Samsung’s non-flagship models, including the Galaxy A series. The smartphone industry has been stagnant for a long time now, leading to the introduction of innovative products and designs such as folding phones and hole-punch displays, but a Note phone without buttons does sound unlikely. We’ll find out whether the report is accurate when the handset launches, which will likely be sometime in August. In other Note 10 news, it looks as if there will be a 5G version of the device, as is the case with the Galaxy S10. Another sacrifice of form over function. Physical buttons were perfectly fine and even superior to touch sensitive meme. About 8 years of using a smartphone and I still can't type on it as fast as I can on a physical keyboard, it's just way better and ergonomic. This is the old "we're out of ideas so let's change something for the sake of novelty and call it inovative". Knot Schure, Jakobe, ForgottenLegion and 2 others like this. Absolutely. Design-wise, these companies have been grasping at straws for years. Stuff like this is just a solution looking for a problem. Knot Schure, ForgottenLegion and Nobina like this. So samsung is going backwards? We went from this ultra secure finger print scanner and iris sensor to face unlock that can be bypassed with a picture and a fingerprint scanner that is very insecure and does not always work. Now the "most" secure form of security is a damn pattern or pin? LMFAO im so glad I switched to apple right now. Knot Schure and Jakobe like this. Physical Buttons are far more efficient and effective than touch sensitive buttons. Aside from removing all buttons and all ports and all speakers to make a completely waterproof phone, I think this is a waste. It's not a sacrifice if done properly. Mechanical buttons are cheaper than pressure sensitive ones, so they are not doing it for cost savings. Mechanical buttons are the number one failure point on smartphones, require a hole in the frame which is why you can't use the buttons under water, and use more internal space. We own the HTC U12 Plus, iPhone 8 Plus, iPhone XS Max, and I rather enjoy the fact that the U12 buttons will not wear out, and have a cooler "feel" to them. If true, the only problem I would have would be if it made it harder to quickly mute my ringer or alarm while the phone is in my pocket. onestepforward, Jakobe and Mikael_r like this. Can you not read? It literally says in this post to take this with a HEAVY grain of salt. It's unlikely that this will actually happen. Also, it's VERY likely that the ultrasonic fingerprint sensor will be significantly improved for the note 10, lmao. I do agree, however, with your point about the security of the iris scanner, although in my opinion, they might still be able to keep it for the Note 10. The Note 10 will have the same face, iris, ultrasonic bio verification methods. I'm sorry but your attempt at suggesting an iPhone is superior is laughable at best. Wait, did you forget that batteries will fail way earlier then buttons? Silly. UFS 3.0 and 12GB RAM is all I need from this device. I just lost interest. With no physical buttons there will be no way to sense where your fingers will be at to perform basic core functions. They should add a mute switch like iphone. They have already made their phones nearly impossible to hold or pick up with even slightly sweaty or very dry hands unless you have a case because they are so slippery. I don't mind innovation, but I'm just thinking about how to reset or poweroff if something crashes or hangs...force reset via USB? I want my background option back on texting!! I don't like go sms pro..
And it seems no matter HOW many times you click the little icon to keep the button bar present, for reasons known only to the Gods, you c o n s t a n t l y have to re-enbable it. Personally, I hate it. I use the tablet now, and avoid the phone whenever possible. Honestly the buttons are fine...you just need to give people a reason to want that phone over the others. As for me ill always be Apple but I appreciate other people making great products as well.